I have fun and great news. I’m doing my very first guest post over at Paleo Parents today, so I am super excited for that. It will be about my weight loss journey and what I went through. Now I’m sure that most of you have already read my story. But I wanted to share a little more with you all of the side of my journey with weight loss. I made this post so that I could share my before after pictures with everyone on here. But I will be going more into my weight loss journey in a guest post over at Paleo Parents. Even though I have already briefly gone over it in my about me page I shared a little bit more on my guest post. So If you want to know more about how I dealt with it and learning how to eat (because when it comes down to it, it’s all about the food) you can check it out over at Paleo Parents on my guest post. What a wonderfully inspiring story. You should be very proud of yourself. I’ll be watching the food channels for your appearance! Chopped, maybe? Do you aspire to be a chef? I would love to see a Real Food show on Food Network or the Cooking channel. Thanks for inspiring so many of us! I found you through the Paleo Parents and I just want to commend you on all that you’ve accomplished and what you’re doing here. Childhood obesity is sadly an epidemic and you are proof that it can be overcome if you are committed to eating real foods and not the crap that lines grocery shelves. All of your recipes look amazing (as do you after your transformation) and I’m going to be making coconut flour donuts tonight! You are an inspiration to all (adults and kids) and I hope that you find much success in this community. Food Network needs someone to educate the country about gluten/grain free living – I think you could be that person! Good luck to you in all you do! Thank you very much Stephanie. That really means a lot. Looked up something quick for my daughter, who is trying the paleo vegetarian. First time cooking with almond flour and coconut oil! the banana bread is my first attempt. Had to lick the bowl. OMG!!!! why bother cooking it. the batter is unbelievable!!! Cooking as muffins, which are in oven. You made cooking paleo sooooo easy. I have 2 paleo cookbooks, but too complicated. going to buy your book. My son has a similar story to yours! Good luck to your calling! What a wonderful story I just read at Paleo Parents Blog. Thank you for sharing and I plan on sharing this with others myself. It is unfortunate that others can be so cruel as to harass another person. I am glad you overcame the bullying. Try not to let it impact your future. Congratulations! Wow! 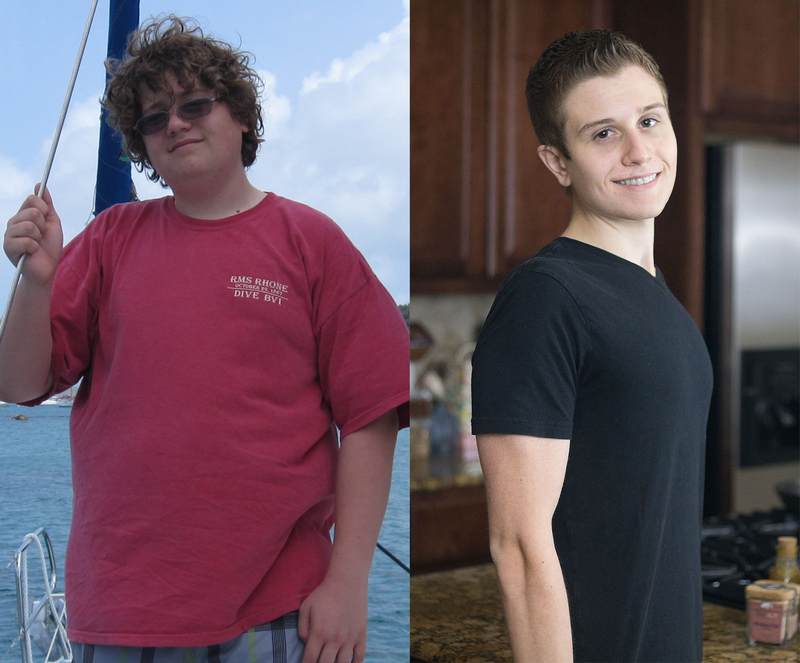 Fantastic transformation – you are an inspiration. Keep up the great work! Wow what an amazing story. I’m 17. Great to see other teens out in the paleo community. Can’t wait to see some more recipes. LOVE the pics, Joshua!! The transformation is amazing! I so admire how you, A TEENAGE BOY, decided to change The RIGHT way! No gimmicks, no diet…just by eating REAL, WHOLE food!!! Bravo to you and your parents for raising one incredible kid!! Such a great post and testament to just losing weight the right way. You are an inspiration! Keep it up! You look amazing and I know you have to feel a million bucks better! Btw – awesome post over at PP! Thank you so much Kelly! I love your blog, you have beautiful photography. Great Job. I found you from a friend on facebook who posted a link of your blog at paleo parents. I did not eat well for many many years. I have children now and am teaching them at a young age to eat well. Sometimes the kids at school make fun of them for eating healthy foods, but they are ok with it because the good food makes them feel better than the crappy food does. Plus, they seen how much work it takes (once you ruin your body with bad food) to change from eating crappy food to whole foods and they want to make sure they never become un-healthy. You are an inspirational, for sure! Joshua I really enjoyed your story. I start my paleo journey today and I know the sugar withdrawals will be tough to handle however knowing that I’ll have to bear it for a short period of time to gain a lifetime of better health, it’s so worth it and your story confirms this for me. “With a little help from parents a child can do pretty much anything they want.” That’s so true, I’m doing this mainly to be an example for my 6 month old daughter. Many of my relatives suffer from so many ailments and taken all sorts of medications and I just don’t want that to be my life. I love your blog and your yummy photographs. I’m so glad I found it. Thank you so much Claudia, I’m so glad you agree with my take on it and are getting your daughter started on it early. I am not typically a person who comments on everything, but this particular piece I could not let go by. I have switched to paleo for health reasons too and although I didn’t have to loose that much weight, I am still perfectly able to feel how you could felt. What you have done is an amazing job and at such a young age, it is such an inspiration to all the young people out there (including me)! I also love your recipes, very good job. So just keep up the good work and enjoy healty, happy life and have a lot of fun and delicious meals! I am so impressed! Your story and journey are so inspiring! Thank you for sharing with all of us. I love your recipes! So glad to find your site! Your food pics are AMAZING! Congratulations on your physical and professional success! You are an absolute inspiration! Congratulations on your hard work. You look terrific and are a great inspiration! Congrats! You’re such an inspiration! Great job! Are. You. Serious? You look fantastic! What an inspiration you are–to anyone old enough to read, or who still has their own teeth (people of ALL ages). And, your biceps…that must feel awesome to feel so strong and alive in your own skin. I have to say that I like both pictures (“before” and “after”). I can tell there is a kind soul in both pictures, and they are both handsome. I can imagine you feel stronger and healthier after all of your hard work, though. Way to go. I’m not even your mother and I’m proud of you! I have a chronic illness in my middle-age and will be doing a stricter version of the Paleo diet for a few months, and then hopefully add in eggs and nuts. I’m excited to start feeling better after struggling for eight years. Hi Gwen, Thank you so much for the super sweet words, they truly mean a lot. I love seeing comments like this. 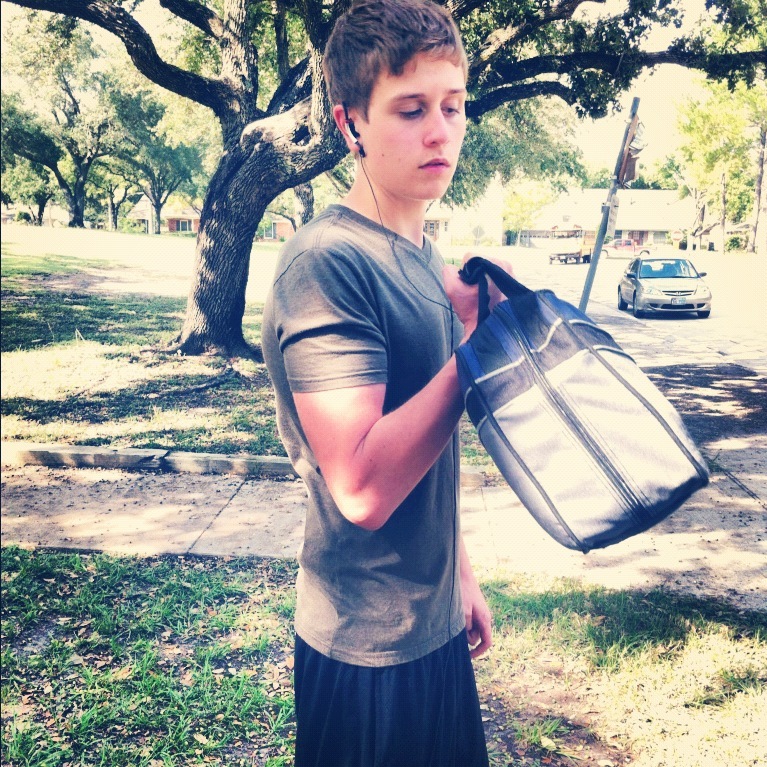 I was feeling very self conscious about my biceps that day so you made me feel better about this picture. But I’m so glad to be of inspiration, if you ever need any help with anything or need some suggestions you can email me. My email is on my contact page. Thanks again! Hi Joshua! Found your link over at The Civilized Caveman and SO glad I did! I have also lost 100 pounds (Aug 2011-May 2012) and kept it off and it is amazing sites like yours, with delicious food ideas that have enabled me to continue eating yummy, healthy food! AMAZING!!! Your blog link was shared on Fast Paleo-FB….I came over for a look, and all I can say is WOW!!! The story/pics of your weightloss journey is so hearwarming and inspiring. And as for your blog content…the recipes are that of a Michelin star restaurant and the photographs are gorgeous. You have no problem convincing me that food is your passion…keep rockin’ it…you’ll go places!! ps. As I typed this, it dawned on me…how cool would it be for Paleo restaurants to start popping up!! I found you through Paleo Parents and first wanted to say wow. You are truly inspirational. To turn your life around completely at such a young age is utterly amazing. I am 17 years old and have lost around 60lbs since June of 2012 but still have some more to go, and have recently discovered the wonders of the Paleo Lifestyle. While at the moment I am unable to follow it through and through as I wish to, I know with the help of all of the amazing food and support blogs I’ve been discovering, along with a wide community of Real Food lovers, I will be able to accomplish all of my goals. I thank you so much for sharing not only your recipes, but your story with us. Such an amazing story and I’m drooling while looking over your recipes! My family & I embarked on a whole foods journey in Nov 2012, so we’re still newbies. My 13 year old weighed 226 at the time, in our first 3 months he lost 30lbs!! He’s well on his way to a successful transformation like yours. We are adding exercise into the mix now. I can’t wait to show him your blog when he gets home today. This is such an inspiration! I looked at your before photo and it took me a second but were you on vacation in the BVI? I live in Tortola and the logo looked familiar then I realised why :). Your recipes are inspiring and hard to reproduce where I am but the blog and journey is truly an amazing story. I’m glad TheKitchn.com shared it. Good luck with college and becoming a chef! For a mother of a very strong-headed 5 year old girl, who is treading the dreaded path of obesity you are an inspiration. I would want to know if you have any ideas of how to get kids to love good food. Since we cook a lot of healty food at home and all she does it turn up her nose at the sight of it. Joshua, you ROCK!! I’m going to add a link to your site on mine. Found you through a thread on GlutenDude.com, in which a teen girl is really having some difficulties [lack of support from family, bullying, etc.] and in which many fine people are trying to help her–Janet recommended your site). I have two grown daughters, and a 10 y/o gluten-free kid (me, hubby & he are GF), and I will be SO proud if he turns out like you young men. I just followed you on Twitter, too. All the best to you, my friend. Just wondering, have you tried Luo Han Guo in your cooking yet? It is a lot like Stevia health wise – all natural, low/no carbs, health benefits, etc. I have been a huge fan of Stevia for years because I have an incredible sweet tooth, but don’t like fake sweeteners. It is nice to have a different natural low/no carb sweetener to choose from now though. It is just as sweet as Stevia, but has a more fruity taste. Thanks again Joshua, I will be using your recipes often! Amazing – you look wonderful! Are you strict paleo? Your blog is great, photography is stellar! Keep it up! Dude! You ARE awesome. Just happened to see the tweet from Melissa Joulwan and had to come visit. Your ‘before’ and ‘after’ shots tells it all: Paleo WORKS! Keep up the good work. You’re doing a fantastic job. You are truly Amazing!! wise well beyond your years!! im 10 years older then you and i dont think i have the courage and dedication you have displayed. I am so excited to try your recipies!!! Congratulations on your life style … Kudos to you! You have inspired me! I will be making the lamb recipe on Mother’s Day for my family. I was having weight and high blood sugar issues until my doctor told me to use nut oils and now my sugar is normal. Gonna rush out and get some macadamia nut oil. I teach high school and middle school and am worried about these kids who are so overweight so young! They sit at their playstations, or computers all day and eat junk food. Usually their parents are overweight too. Josh, What an inspiration! I am blessed by your story! Thank you for sharing! I too am a fellow Californian who lives in Tx. This is super impressive. Thank you for sharing all of your hard work. Congratulations and well done Joshua. I found your blog via Pintrest and will certainly be trying out some of your recipes. You are an inspiration! I am so very happy to have found you out here on the web, I think you will be able to help and inspire me and my family. I have been sick with stomach issues since I was a kid, and now I am 31 with 5 kids. What it comes down to is needing to eat paleo for me to feel better. I want to feed my kids healthy so when they are in their 30s they are just healthy and happy, not dealing with health issues because I fed them full of unhealthy foods their whole childhood! Love your story. Your going to go far kid. You really. are. Wish you nothing but the best. You earned it. Wow! You are a wonderful inspiration…..and I am going to enjoy trying your recipes. Keep up the good work. God bless your endeavors—we all need to learn from you. I am beyond impressed. What an inspiration! I started eating paleo about 10 months ago. I have an auto immune disease that makes it difficult to gain weight easily which make people jealous of me. But what they don’t understand is that I also am malnourished a lot of the time. No matter our size we all have something that needs to be fixed and paleo is amazing for that. It’s hard work and takes a lot of rewiring of the brain but it is possible and you are living, breathing proof!! Keep up the dedication and creation of tasty recipes!! I’m currently tempted to go to the store and ask for the oldest bananas they have just so I can make that banana bread!! You were beautiful in your ‘before’ picture, and you’re beautiful and HEALTHY now. Good for you! I just printed out your banana bread recipe & can’t wait to try it! Thanks! Wow….I really enjoyed reading your story and I’m certain you’ve been an inspiration to many. Your parents must be incredibly proud of the young man you’ve become. I stumbled on your banana bread recipe because I cannot have gluten and then read your story. It touched my heart and I applaud you for being courageous and standing up to the bullies and doing what you love. As a mother of a special needs son, I can only hope that he is as strong as you one day. Thank you!! I will be directing the teens (and adults) I work with to your blog. Certainly is an inspiring story and I wish you the best in your future hopes and dreams. You’ve done a fantastic job! Congrats on your intelligence, determination, and creativity to overcome a problem and help a lot of other people, too. Best of luck with your cookbook (I just pre-ordered it) and career. Joshua, you are an amazing young man and I commend you on being so determined to take control of your health, particularly at such a young age. There are so many who make it into their middle years, myself included, before their health related struggles are linked to food allergies/intolerances. Keep up the good work. You will be such an inspiration for so many young people. I will be linking you to my FB for others I know with the same struggles. Cheers to you and your supportive parents too!!! Thank you so much Erica, I really appreciate the sweet words and thank you for sharing my page with your friends! You are A W E S O M E ! I saw the ad for your cookbook on another friends blog and I am so excited for it to get into my hands! I am a chef/nutritionist, former obese mom of 3 and it wasn’t until my late 20’s that I decided to change my life. 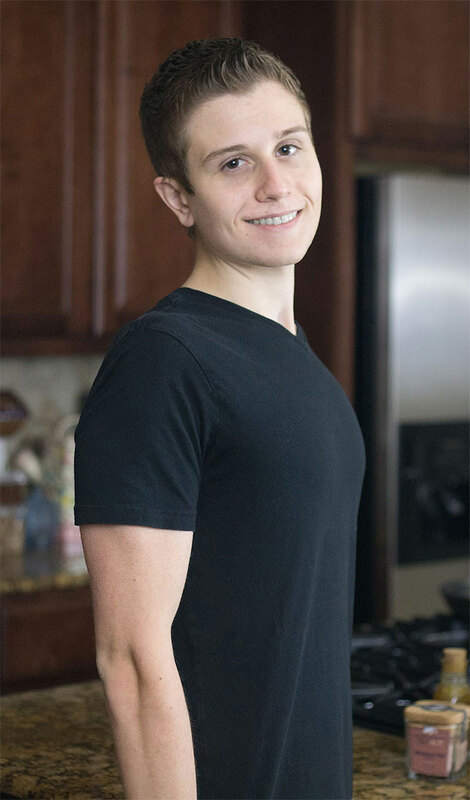 I am so happy for you that you took control at such a young age…you certainly have your whole life ahead of you 🙂 I am going to share the ad for your cookbook as well as a link to your site on my blog if that is ok and if you have time come check out my paleo blog as well I started it a little over a month ago and am super excited to post new recipes quite often…I can’t wait to make yours as well 🙂 The cover of your book is gorgeous! foodandfitnessredefined.blogspot.com Thanks Joshua and I look forward to wonderful things ahead for you! Just wanted to let you know I think you’re amazing! Beautiful pictures and I can’t wait to try your recipes. What a fantastic role model you are! Congratulations on your amazing journey – like others have said I would love to see you on the Food Network, getting your healthy eating message across to today’s youth. I am totally making your Slow Cooked Corned Beef Brisket and Roasted Cabbage for St. Patrick’s Day this year. Blessings in all you do! I think you looked pretty cute in your before pictures too (that’s from my Mom perspective), but am so glad you’ve got your weight under control now (From Vinny’s POV)! And a thousand congrats on your cookbook! I know how hard it is slogging a book whether on your own or with a publisher (who does very little marketing in today’s book market). I say just enjoy your accomplishments and realize how special you are:) ! Just came across the site via chia seed lemon muffins- although I am making the chocolate chip cookies- in oven currently. I love the other recipes you have and love love love your story! I am 28 and still trying to make this a lifestyle change! So good for you! I wish you all the success and happiness! Ovens going off- yes! fantastic patience and willpower. feel proud of your journey. Nice work. Do you do crossfit? I’m in my early forties and just bought your book. Got it just this weekend and already I’ve cooked 3 recipes. I am very impressed by the quality of your book, the pictures are fantastic (I’m a photographer) and the recipes are very creative. You have a great future ahead of you. Passion, what a propulsion. Drawn by a “Lebanese Cooking” title, I was perusing cookbooks on Friday at Costco. Since my 8 yr old son has been recently diagnosed as intolerant to gluten, the combo of cane sugar and fruits, and also has his first cavity, we have been changing his diet (which was already very good, but did include those things he is intolerant to). For the cavity, some friends from my Holistic Moms Network group in Houston told me about how to “remineralize teeth” and led me to the Weston A. Price Foundation. Coincidentally I had just ordered the _Nourishing Traditions_ Book for other reasons, and then found that they are from the same people! I knew a few people who did the Paleo diet, but I didn’t know much about it. 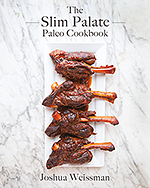 When I saw _The Slim Palate Paleo Cookbook_ at Costco, with the explanation of Paleo in the introduction, I found what I needed!!! I left the Lebanese Cookbook and purchased yours instead! Then I decided to check out your blog and discovered that your are still a teen. CONGRATULATIONS on such wonderful accomplishments at such a young age!! I feel the stars aligned and led me to your cookbook! It looks like Paleo can help us! Thank you for making the food look so enticing, for including desserts in your cookbook (especially brownies-my son’s favorites) and for JUST BEING A TEEN!! That will help a lot in being a role model for my son, he will see that even the coolest people on earth, teenagers, also eat gluten-free, and refined-sugar-free, and more so, they are not bummed by it, but rather rise to the top, and write their own cookbook!!! I wish you continued success!! I don’t normally sign up to sites but you have some great recipes here. I just wanted to say what an inspiring young man to have risen above adversity so young. Thank you for the recipes and if you do visit my site, don’t mind the mess. I’ve been working on our works site and haven’t updated mine to how I’d like it to look. Thanks again and cook on! I am impressed that you managed to do something that many people are not able to accomplish. However, I am sorry that you were being bullied and harassed for something that others weren’t having to deal with. While I don’t want to discourage you from your healthy eating (and, I’m surmising, weight lifting? 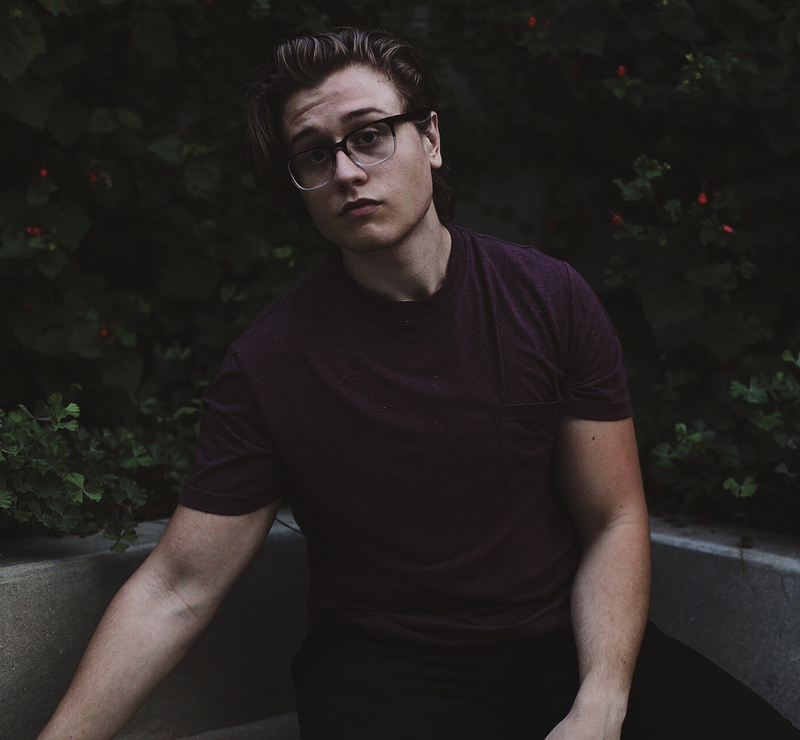 ), I just want to say that I would never have criticized or bullied you when looking at the original photo, and you are a good and worthwhile person both ways. However, kudos on making extra contributions to society by your website here and by sharing your story! I am so inspired by you, I too have been bullied and I know how it feels. I actually have gained some weight due to some struggles I’m going through but this really gave me hope. Thank you so much I’m looking forward to reading your future post! Well, I came across you on Instagram and now I am totally impressed! 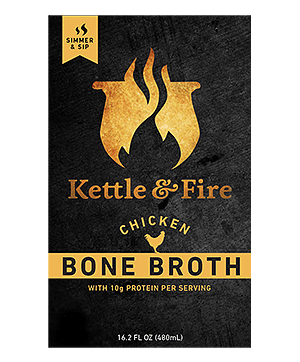 I have three boys and my youngest had some issues that definitely helped me to look into our diet and now I’m obsessed with all there is to eat that is so delicious and is so good for us! please keep up the good work! You are a definite inspiration! Wow! What an incredible story you have to tell. Amazing that at your age you took it upon yourself to take responsibility for your own health & life, and did something about it without falling into the “diet craze” that most teens do. Thanks for sharing your story with the world. You are one amazing human being. If this is where you are at now, can’t wait to see where you will be heading in the future! Amazing so far! !